Do I Need a Referral to See a Prosthodontist? Most people think that when they go to a specialist’s office, they need to have a referral. Not necessarily so. Specialists like orthodontists, pediatric dentists, oral surgeons, and prosthodontists usually see a large number of patients who call their office directly, bypassing the referral process with their general dentist. A number of our patients call us themselves or are referred by other specialists in the area. 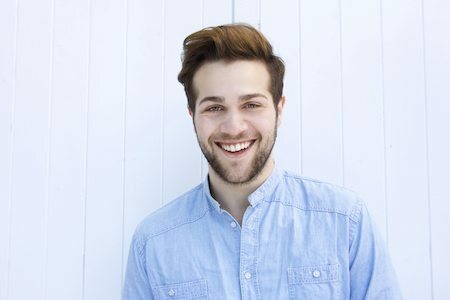 When Should I Choose a Prosthodontist? Dr. Max Molgard is happy to coordinate care with your family dentist if you are in need of more complex treatment, such as full mouth rehabilitation. After we’ve completed all of the necessary therapy, you can return to your previous dentist for maintenance. Or, if you don’t have a dentist, you can continue to see Dr. Molgard for routine checkups and cleanings. Visiting a prosthodontist shouldn’t feel that much different than a trip to your family dental practice. Just be sure to bring a copy of your dental insurance card (if applicable) and if possible, a copy of any existing records from your previous dentist. Dr. Molgard will discuss all of your concerns with you and communicate his recommendations with any other applicable providers. However, many of our patients come to us for routine care… even if they don’t have more complex reconstructive needs. Find out how our specialty office can give you the most beautiful smile possible. Call our Spokane prosthodontist today!